When it comes to business communications services, we've got it covered. 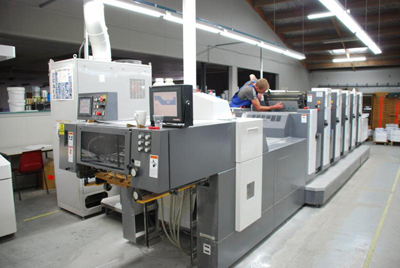 From business cards and brochure to magazines and catalogs - our equipment allows us to scale to just your needs. Saturn Printing & Marketing utilizes that latest technology and printing equipment to deliver the finest finished product. In addition to our conventional sheetfed and digital presses, we have custom finishing equipment such as a flood UV coater, diecutters, digital scoring and more.